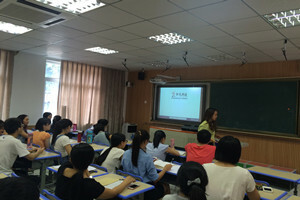 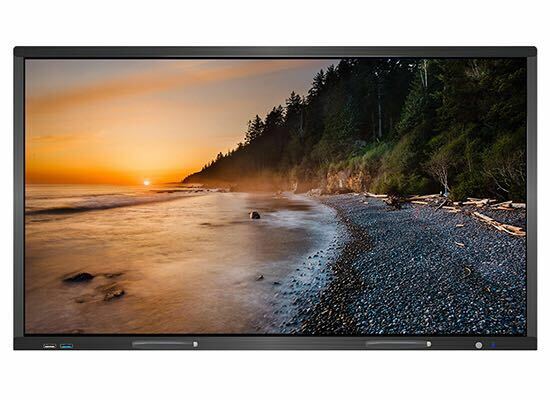 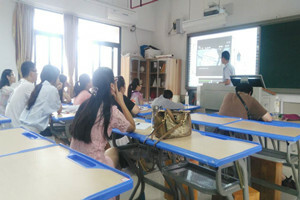 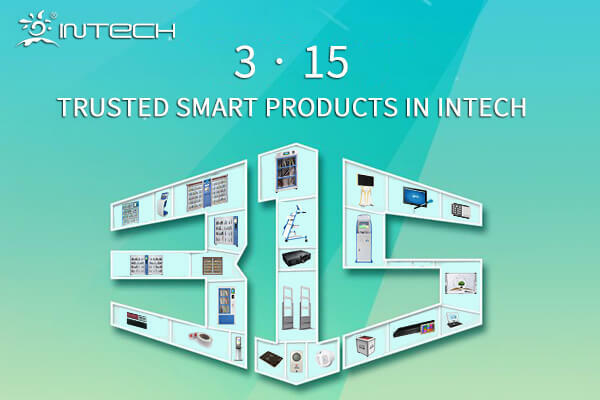 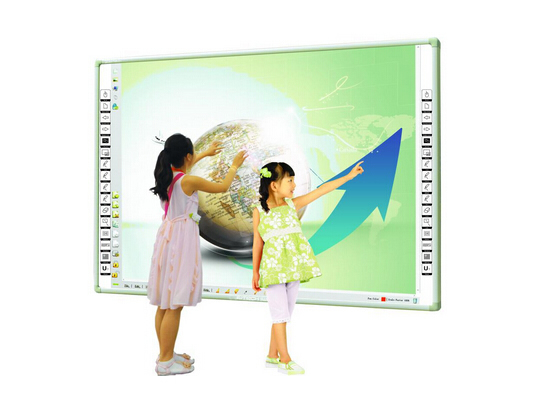 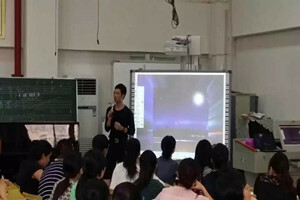 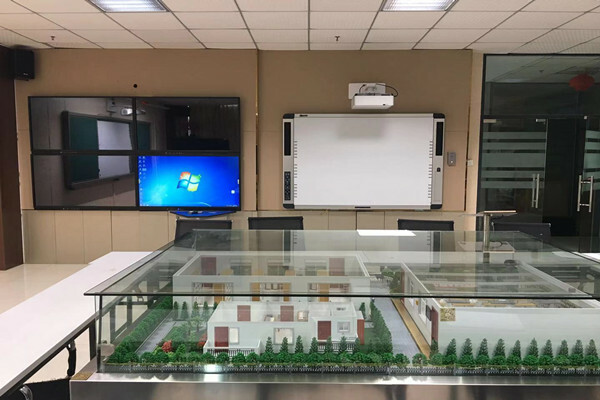 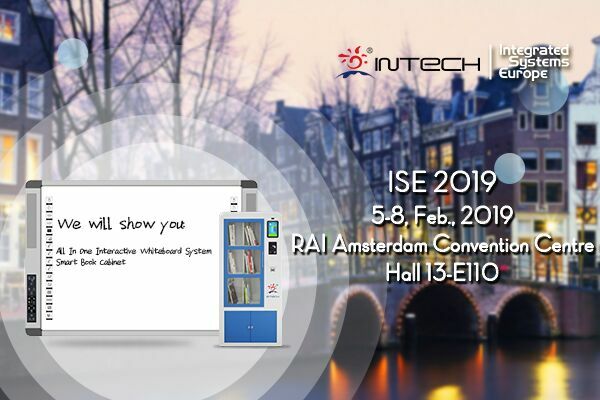 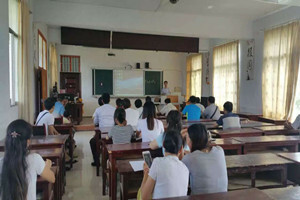 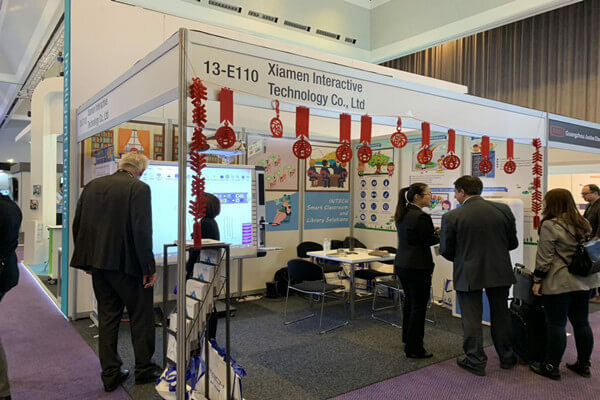 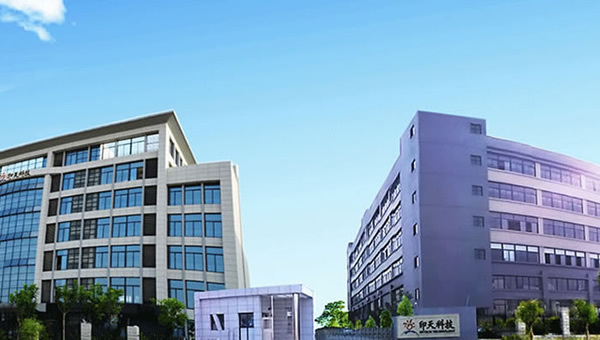 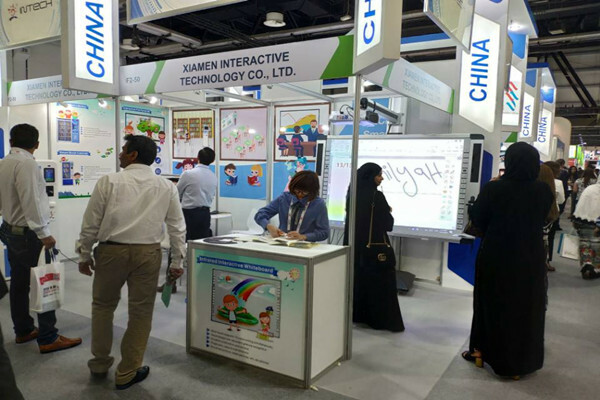 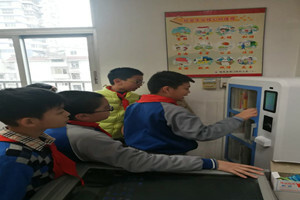 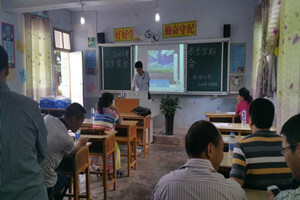 INTECH has become the leading smart classroom & smart library solutions provider in China since 2007. we offer OEM/ODM service on the line of interactive whiteboards and smart library products across the world. 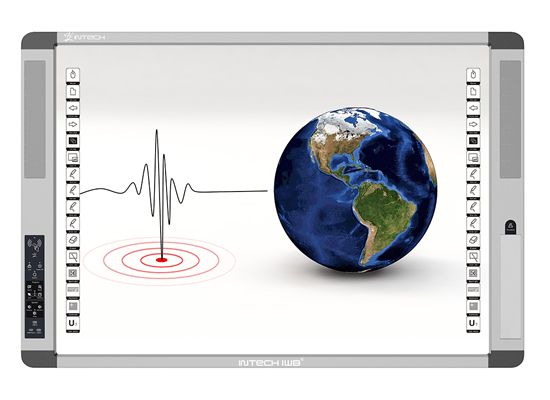 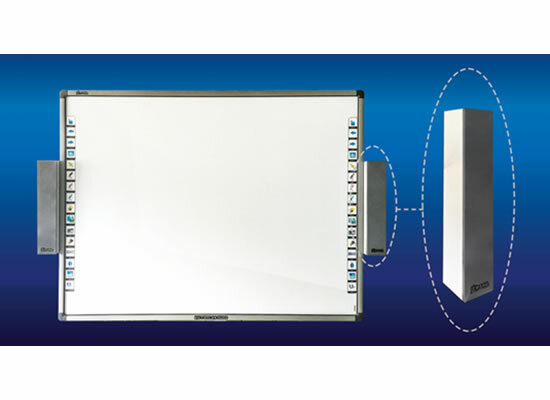 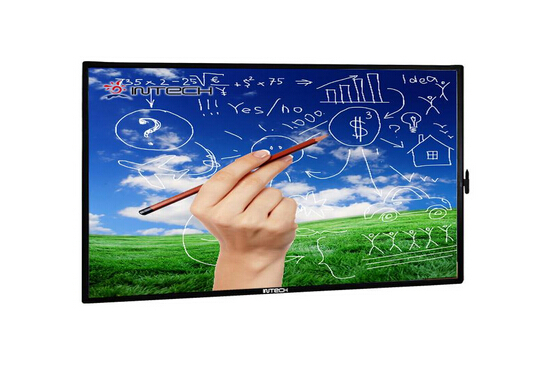 In the interactive whiteboard field, we offer full-line R&D technical service including infrared, electromagnetic, optical, capacitive technologies, etc. 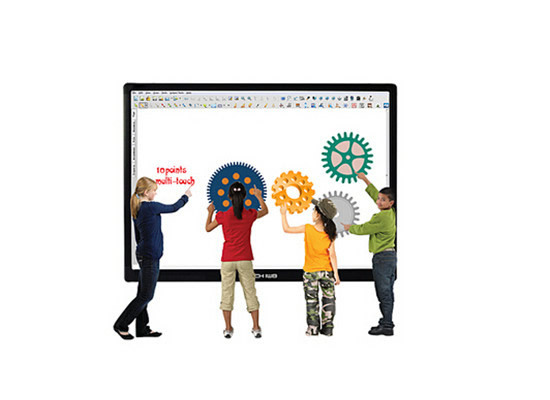 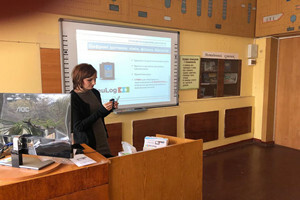 together with whiteboard software. 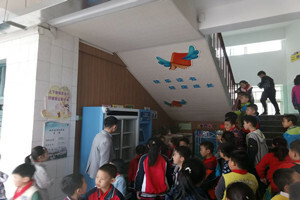 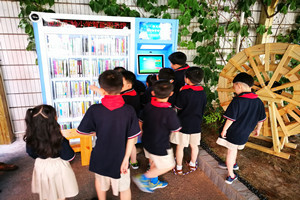 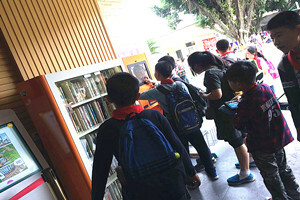 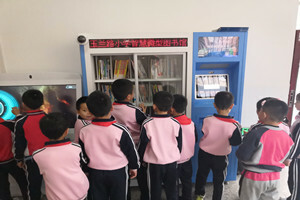 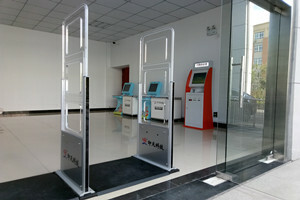 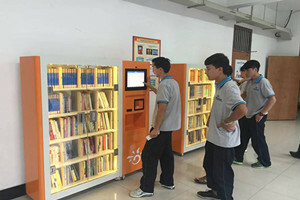 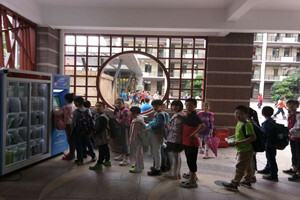 For the smart library solutions, we have successfully developed 5 series of products, including smart mini lib, smart bookshelf, self-service kiosk, etc. 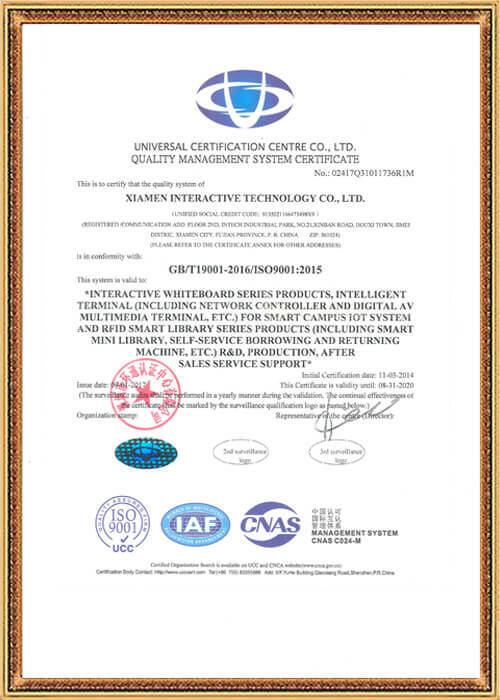 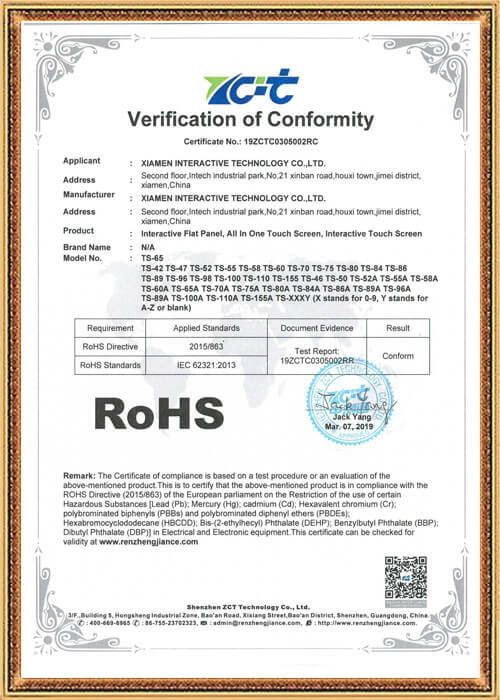 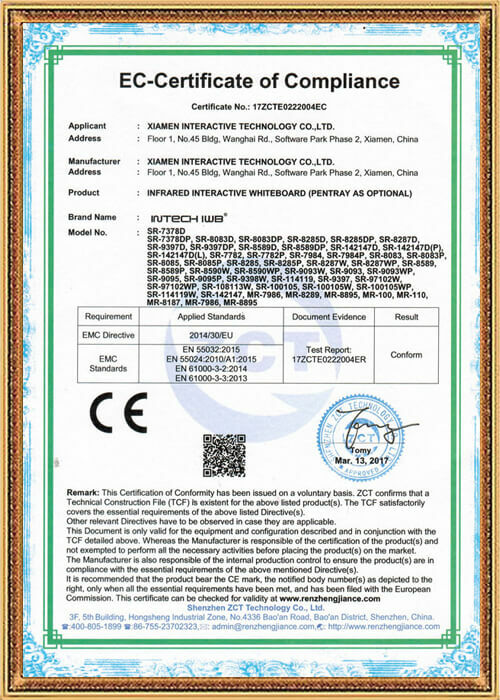 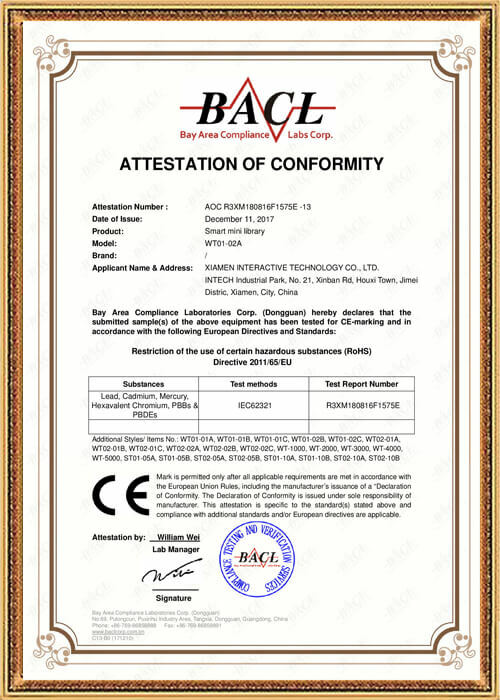 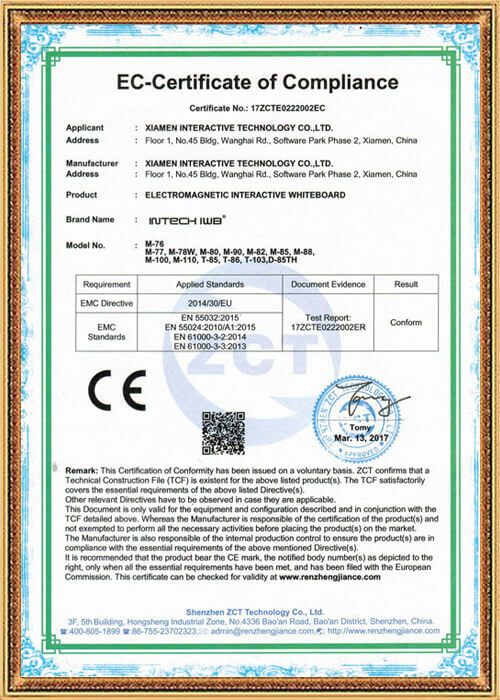 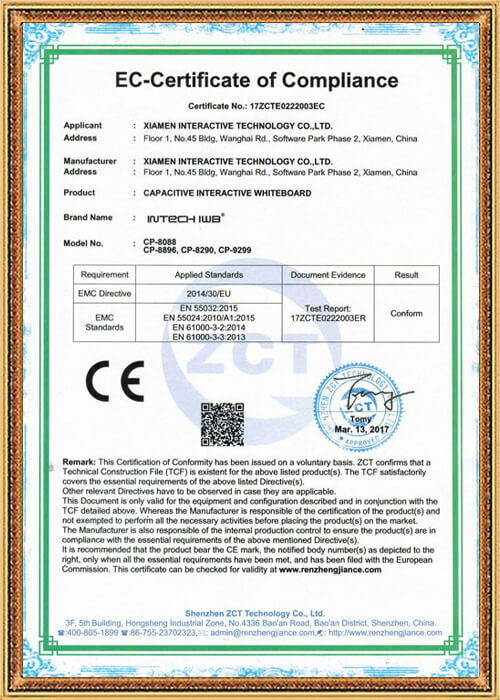 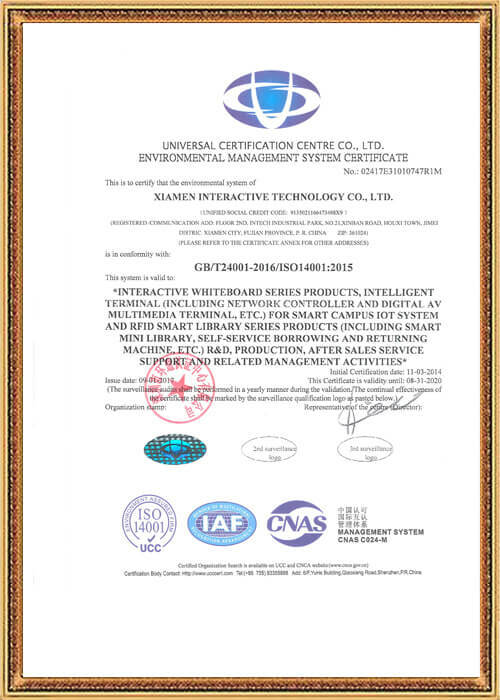 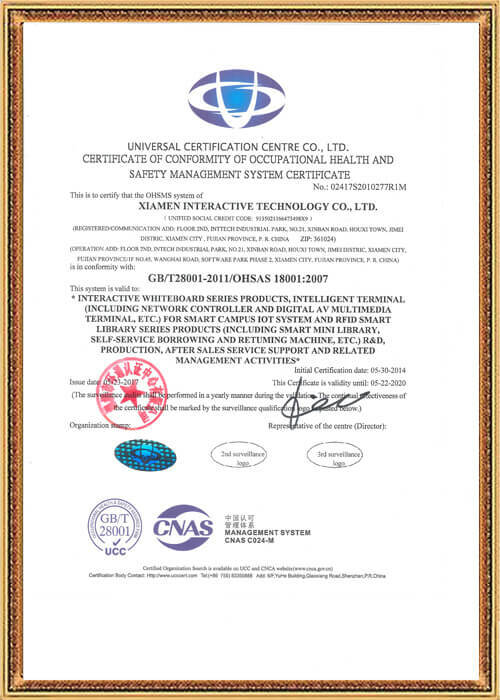 Our products have been certified by ISO9001, ISO14001, OHSAS18001, CE, FCC, RoHS, etc. 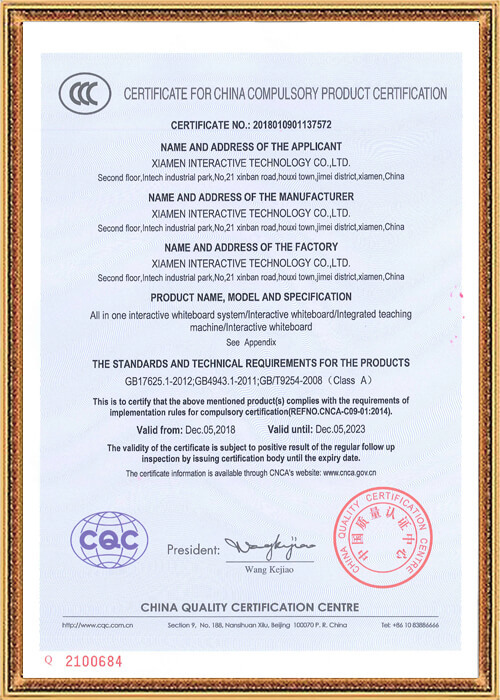 to ensure high quality and excellent performance.